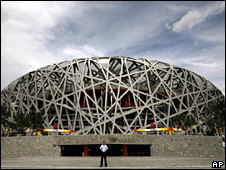 Over the next few days, thousands of athletes and spectators will fly out to Beijing for what is arguably the world's greatest sporting event - the Olympics. Among the exodus is Dr Laurence Gant. But unlike his fellow travellers, Dr Gant will not witness any great sporting feats. In fact, he has not got a ticket for a single event during his five-night stay in the Chinese capital. Instead he will be spending his time visiting hospitals and clinics, in a fact-finding mission for the 2012 games. Dr Gant is clinical director for general and emergency medicine at the Homerton Hospital in Hackney, east London - the designated Olympic hospital in 2012. He said the Beijing games would help staff prepare. "What we are going out to do is to learn," he said. "This is our last opportunity to visit a summer games before London 2012 itself. "We are going to learn about the issues around providing healthcare for athletes and spectators in a live summer games." He said there was no substitute for seeing how many patients came through hospitals and clinics and what kind of help they needed during an Olympics. But Dr Gant said there would be no time to enjoy any sport. "I am just going to see the medical side of it. "It is a case of fly in, work round seeing how the hospitals are set up, how the care for the athletes in the villages is set up and how the care for the spectators is set up. "Then we can bring all of our experiences together and collate them and make sure that the things we identify we can solve before London 2012 happens." There were around 5% more presentations to hospital emergency departments in Sydney than usual during the Olympic Games of 2000. Dr John Coakley, medical director at the Homerton, said plans were already in hand to improve and increase local services to prevent them being swamped by the expected influx of visitors. Medical clinics will be set up at the Olympic village, sporting venues and hotels where the competitors are staying. The Homerton, along with its partners - the nearby Whipps Cross, University College London Hospital, Barts and the Royal London NHS Trust, Newham University Hospital and Barking, Havering and Redbridge NHS Trust, will be upgraded to cope with demand. A polyclinic, which provides GP care and other diagnostic services more usually found in a hospital, will also be set up to provide care to people attending the Olympics - but will remain to give care to the local community after the games have ended. Dr Coakley said he hoped the Olympics would encourage members of the public to take up sport - and keep active. That is particularly important in Hackney, where obesity and ill-health are big problems, he stressed. "I think we see people playing tennis every time Wimbledon is on, but what we fail to do is sustain that enthusiasm. "People get interested for a while. What we need to do after the Olympics is to ensure that interest is sustained. "Everyone will be getting into the swimming pool, or cycling, or jogging round the track during the Olympics, or a short-time afterwards but we need to ensure that is sustained. "It is about setting real achievable goals for people and accepting the idea that most people who compete are not going to win the 100m. "If you can get the schools, local community and parents interested you will crack a lot of the obesity problems." 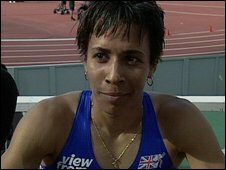 Dame Kelly Holmes agreed that the 'feel-good factor' of the Olympics could inspire more people to take part in sports. She added: "There are so many sports that people will look at and think 'I want to do that', and maybe they will join a local club. And she said cycling and swimming were examples of activities which were cheap, and easy to access.